Northwestern Roofing Ltd. started on May 1st, 1984 as a family owned business and has served our clients for more than 30 years. 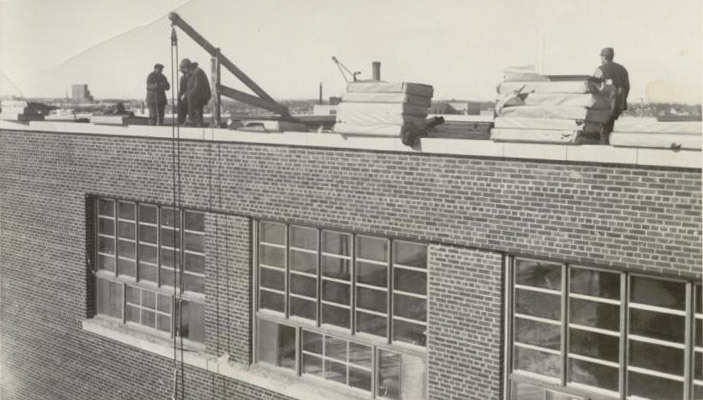 John Sarbiewski's career in the commercial roofing industry spanned over 40 years as a journeyman roofer, roofing supervisor and he cofounded Northwestern Roofing Ltd. with his son Richard in 1984. John happily retired at the age of 72, lived a full life and passed on March 11 2016. He will be sadly missed and fondly remembered by his family and friends. Richard Sarbiewski's career background includes commercial roofing and sheet metal fabrication/installation. Richard completed his Diploma in Structural Technology at Red River Community College in 1985 and later received certification as a Certified Engineering Technologist (C.E.T.) in 1991. Richard is President of Northwestern Roofing Ltd.
Just as is the tradition of european craftsmanship, our goal is always to provide personal service and technical support to our clients with quality workmanship you can count on.